Borne2Dance is a values-lead company with a focus on impacting youth by providing a creative outlet. Not only is our staff expert teachers and performers in our field, but we are also a community company; volunteering our time and services to charities and events throughout the Northwest Suburbs. We are committed to being a company that serves as both a place of inspiration for kids and adults alike. Jamie is a Cecchetti-trained ballet dancer, and her skills and specialties range from tap and jazz, to modern, ballet & pointe. Having danced since 1988, she started assistant teaching in 1996 and is now B2D's Director of Dance & primary teacher. 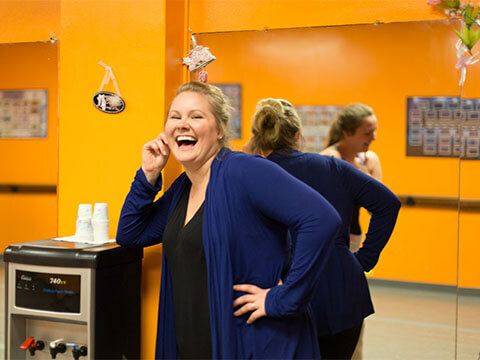 Having trained with the Judith Forsberg Studio of Dance from 1988 to 2007, Jamie has attended many Chicago dance conventions including L.A. Dance Force, Dupree, and the Chicago National Association of Dance Masters. She earned her Associates in Arts Degree from William Rainey Harper College in 2005, and her Bachelors Degree in Business Management from Colorado Technical University in 2008. Joe began studying percussion and guitar in 1998 and has been a writer and musician ever since. 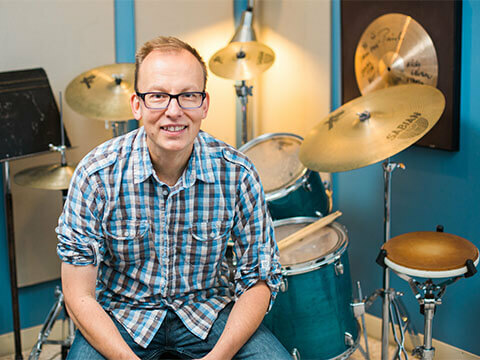 He has studied with Brad Schulater as a percussionist and with infamous Hit or Miss guitarist, Michael Herndon. Joe began his company Inhouse Music in 2006 and later became incoporated into Borne2dance in 2007. Joe has also taught at The Music Room and for MusicLessons.com. Throughout his song writing and performance career, Joe has received airplay on Chicago's 93.1 WXRT and received awards from Wisonsin's Whitewater College in songwriting and lyrics. Dean Radzik is a graduate of the Berkee School of Music in Boston and was the senior drum instructor at the Drum Pad for over 20 years. He has played in a variety of talented original and eclectic bands including, Who's This Mary where they toured throughout the Midwest and performed two tours of England. He also recorded the drums on their critically acclaimed album, Writhe and Shine. Dean also collaborated with Chicago's Improv Olympics as the drummer for Unky-J. He is proud of his work as a member of Jellyeye Drum Theater, receiving stellar reviews in the press as well as appreciative audiences nationwide. 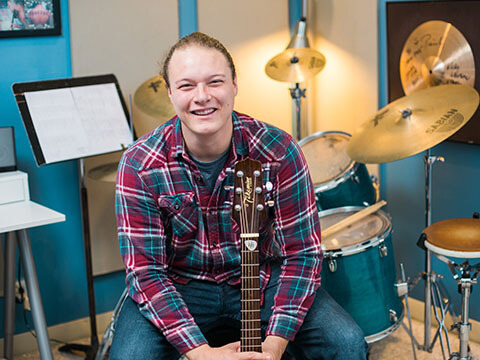 Students enjoy his patient and relaxed teaching style and he enjoys bringing out the best in them and navigating them toward their musical goals.